Spacelabs Medical invented medical telemetry more than 60 years ago, working with NASA in 1958 to monitor the vital signs of orbiting astronauts, and was the first to introduce telemetry to hospitals. 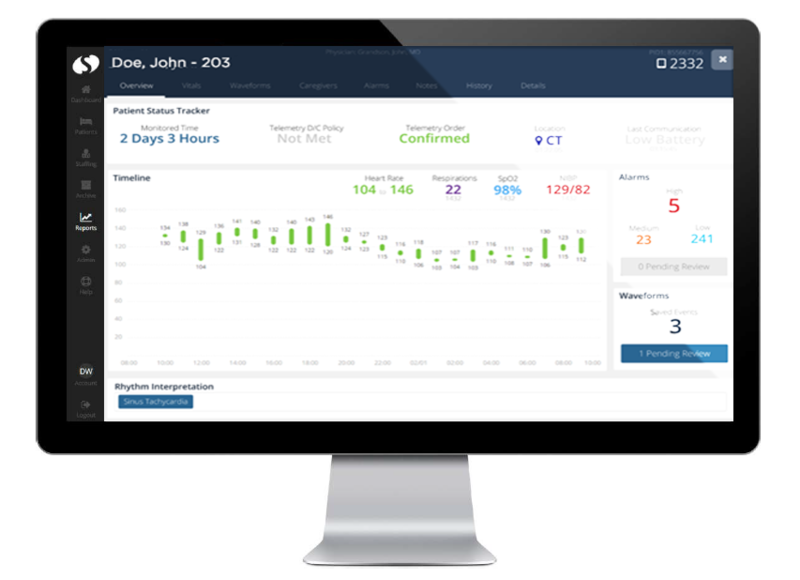 Today, the flexibility of our digital telemetry allows you to configure your system to match the needs of your patients and your clinicians. AriaTele with Xhibit central station enables monitoring of ambulatory patients across your healthcare enterprise. Spacelabs’ telemetry transmitter delivers high performance and ease of use. 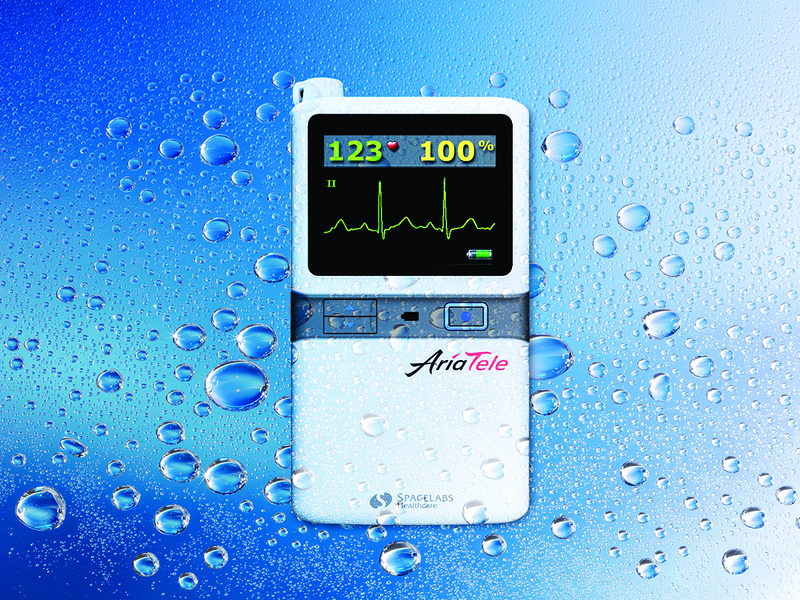 View your patient’s ECG or SpO2 waveforms from the large, full color display. Up to four leads of ECG, lead by lead, can be viewed along with the heart rate. Signal quality and battery level icons provide operational peace of mind. Immediately confirm signal quality and rhythm without leaving your patient. Waterproof to IPX7, the durable housing and controls help to ensure continuous reliability in the hospital setting. To optimize telemetry utilization, caregivers need easy access to the information used to determine discharge criteria. Spacelabs SafeNSound can help, bringing this information together this data into a single, simple overview. 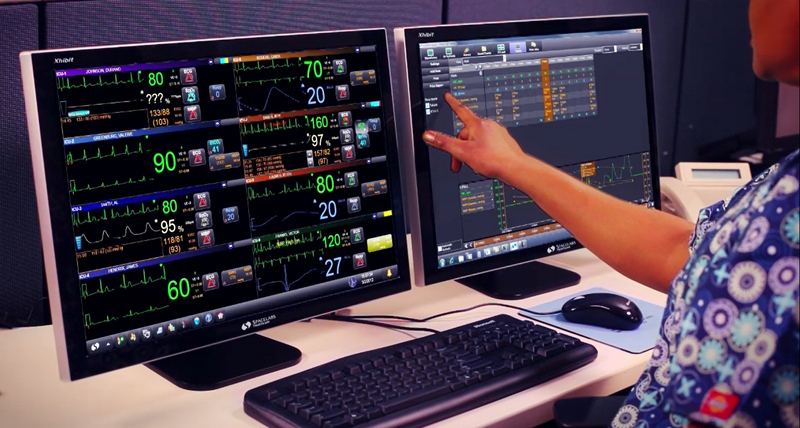 Spacelabs’ Xhibit central monitoring provides detailed views of any patient on the network, including wireless surveillance of ambulating patients, bedside monitors, and wireless transport monitors. Spacelabs pioneered medical telemetry as a prime contractor for NASA. The Gemini Program required real-time, remote physiological monitoring of orbiting astronauts from Earth. Spacelabs’ innovation in medical telemetry helped make history as part of the Gemini IV flight as astronaut Edward H. White II became the first American to walk in space in June 1965. NASA’s Apollo Program was dedicated to fulfilling President John F. Kennedy’s challenge to land a man on the moon by the end of the decade. In July 1969, Neil Armstrong stepped onto the moon wearing Spacelabs telemetry. By the early 1970s, Spacelabs was installing its “Apollo 70 Cardiac Care Monitoring System” at hospitals throughout the United States, with astronauts including Alan Shepard and Edgar Mitchell attending in person to participate in the dedication celebrations on several occasions. 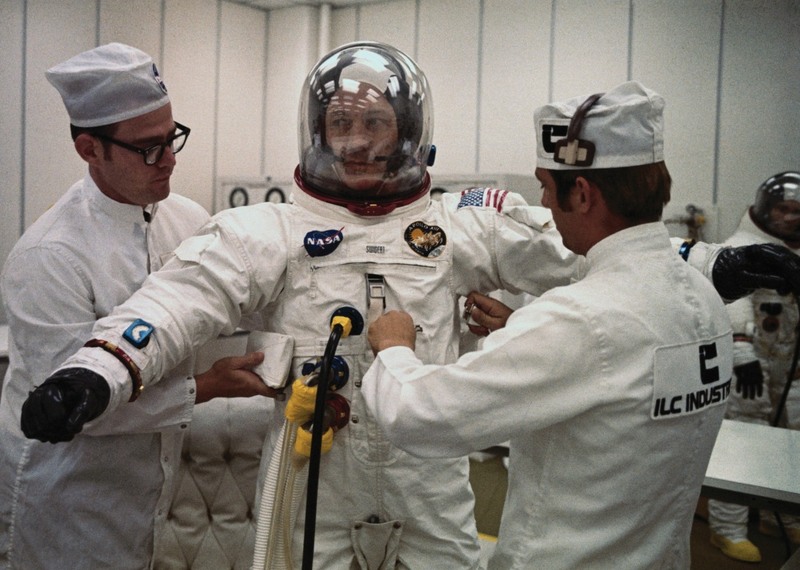 Technicians conduct spacesuit checks on Apollo 13 command module pilot, John L. Swigert, as he prepares for launch today with fellow astronauts James Lovell and Fred Haise. 11 Apr 1970, Kennedy Space Center, Florida, U.S.A.
Not all products are available for sale in all countries. Please contact your local Spacelabs Healthcare representative or regional office for more information. * Evan, M. Benjamin, M.D., et al. Impact of Medical Telemetry on Patient Safety and Cost, American Journal of Managed Care, 2013.